ActionFigures Convention Staffing continues to provide outstanding efficient service for hundreds of events in San Diego with our growing pool of staff members. 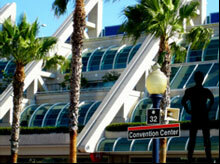 Whether at the San Diego Convention Center or local hotels, ActionFigures has successfully raised the onsite support staff standard & quality. 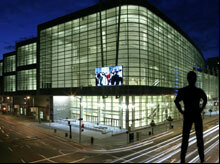 Our expert onsite support staff serves your meeting needs at this city’s major hotels as well as at the convention center. With the largest staff pool among our six cities, ActionFigures Convention Staffing has successfully served this city's largest tradeshow for the past decade. With a vast staff pool that is continuously growing, ActionFigures Convention Staffing is poised to serve some of the largest conventions and tradeshows in the U.S. We are flexible to accommodate any size meetings in hotels, convention centers or special venues. 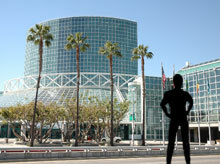 ActionFigures Convention Staffing is your first and only call for your Los Angeles convention, trade show and conference needs. 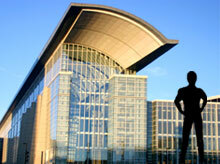 You’ll see right away what our exceptional expertise can do for you and your event’s attendees! 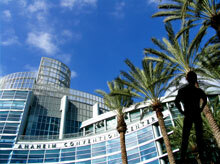 When you have chosen Anaheim as your destination, ActionFigures Convention Staffing is categorically the definitive choice for your quality assurance. We will illuminate your convention, tradeshow or conference with a trail-blazing energy and responsibility like you’ve never seen before!.